Thousands participated in a LIVE Stations of the Cross through the streets of Toronto, Ontario, Canada. This is their 56th year of procession. 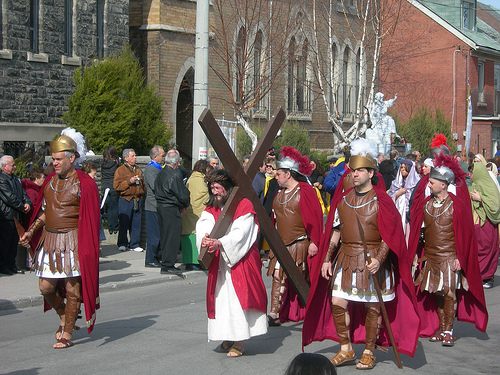 The Stations of the Cross reenactment was organized by St. Francis of Assisi Church in Toronto's Little Italy. The procession organizer Joe Martino, who is originally from Italy and has been involved with the church for more than five decades. 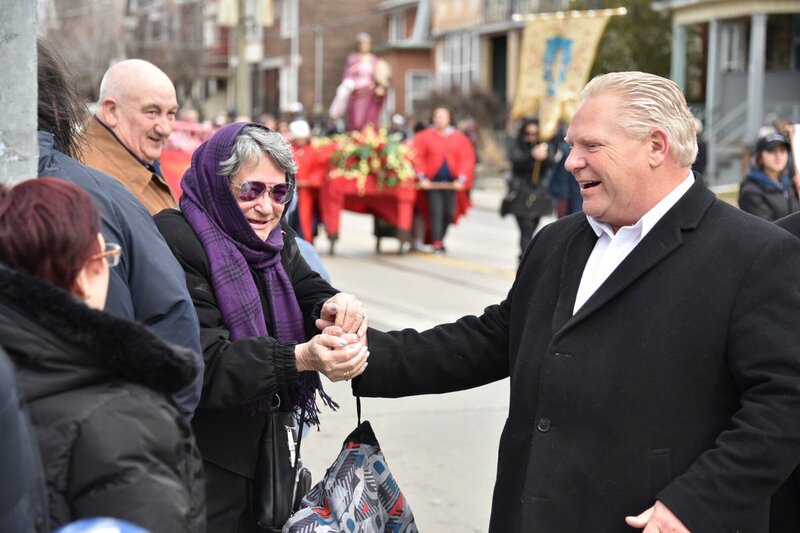 Newly elected Conservative Leader Doug Ford joined the procession on Friday March 30, 2018. “We started with the procession 56 years ago and we continue to do this in memory of our Lord,” Martino said. The suffering of Christ is re-enacted each year with several men and women acting as the biblical figures. Toronto Mayor John Tory, Ontario PC leader Doug Ford and Councillor Giorgio Mammoliti were among the thousands in attendance.